Graduate from Le Centre Horticole de Lullier and a management degree from l’ IFCAM in 1997, Sylvain became in 1999 the CEO of Sylvain & CO SA. In 2008 he led the company’s transition from traditional market garden to biodynamic production and set up home and office delivery services for organic fruits and vegetables. 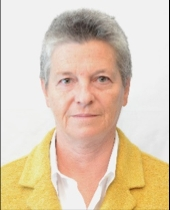 Linda Butler is the Coffee Sustainability Manager at Nestlé S.A. She has over 30 years of working experience in the coffee sector and has been involved in the 4C Association since its inception in 2003. When the 4C Association was legally founded at the end of 2006, she became a Council member representing the Trade and Industry Chamber and has been involved in all the major decision-making processes of the organization. Michiel was the Global Sustainability Director at ADM Cocoa. In 2015, he founded the Farm Strong Foundation and serves as the CEO. He is a member of ACI and World Cocoa Foundation's technical Committee. He also serve on the board of the International Cocoa Initiative, on the Consultative Board of ICCO and on the Advisory Pan of the UNFSS. In 1978, she enters in the family business, Illy Caffè. She is now the Vice-President of the Illy Foundation since 2008. She has for many years served on other boards notably: illycaffè s.p.a, Gruppo illy s.p.a, Domori s.n.c., Hacienda San José (Venezuela), Dammann Frères s.a.s. (France), Experimental Agrícola do Brasil Ltda. (Brazil), illycaffè Sud America (Brazil). Susumu Isogai has been working for the Mitsubishi Corporation since 1992. He was in charge of sugar trading for 12 years in Tokyo and Osaka in Japan. He worked for Agrex Inc in Kansas City, U.S. which is a subsidiary of Mitsubishi Corporation and for Mitsubishi Corporation UK PLC in total 5.5 years. He was assigned as the spokesperson of Mitsubishi Corporation in total 5 years and he has been General manager of Food Materials and Oils/Fats Department, Living Essential Resources Division of Mitsubishi Corporation since April 2016. Callixte Mutabazi is the Managing Director of Interbank Burundi, and member of the Board of Directors of Interbank Burundi. He is a Board Member of the Kahawatu Foundation since October 2012. Nicolas Tamari has been in the coffee business for over 20 years. He is the current CEO of Sucafina SA, a former member and president of the European Coffee Federation, and the current President of the Swiss Coffee Trade Association, among several other trade associations and company boards.